I have been attending two different types of Yoga classes in Norway - Vinayasa and Ying Yoga - more on the Ying Yoga class coming up later. 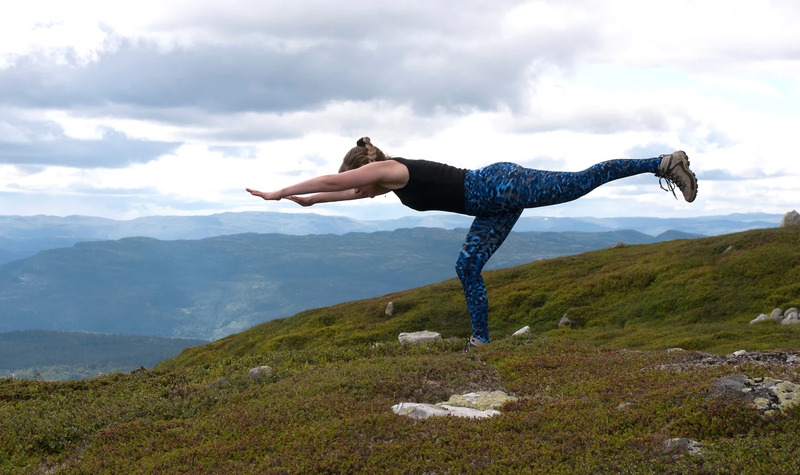 Both Yoga classes were taught in Swedish, and for the first time, when attending a Yoga class in a different country, I understood almost everything she said. The classes were excellent, and I would like to share the best parts with you. We started out with a breathing technique called sama vritti translated as– same wave/movement. It is a breathing exercise that helps to stimulate concentration and build up energy. Sit in a seated position and inhale while you count to four, and then exhale counting to four again and repeat. There are a lot of different variations and you can decide youself the duration of your inhalation and exhalation. The Yoga class was built up with different variations of Sun Salutations with nice and calming music. There was especially a great variation of the Malasana pose and the Ninya pose, both asana (yoga postures). You will feel a great stretch on the inner thighs, and it helps to involve balance in a great and fun way as you are balancing on your toes.